He sits down with the bundle, and a smile creeps onto his face. He slides out the top book to leaf through its pages. He has picked up a pile of free books, but he has picked up more than that…he is holding in his hands a little bit of hope. Alyse Urice, founder and director of the nonprofit organization Literacy & Hope has been street-distributing books for three years. More than 20,000 books have found their way into the hands of people who might otherwise be without them. Intent on the idea of Literacy & Hope since 2007, it took a diagnosis of endometrial cancer to motivate Alyse to get moving on her idea. Her vision and program started with the distribution of preloved books to area bus stops, but with the help of Three and her grown children Kat and Caleb, Literacy & Hope has reached out in a number of different directions. The group has contributed to the libraries in the schools on the Pine Ridge reservation in South Dakota. After donations are made this summer to the high school there, only four schools will be in need of library materials. Alyse initiated and has since moderated the Homecoming Queens Book Club for women who find themselves fighting their way out of homelessness. Literacy & Hope has also put books in classrooms along the Front Range in Colorado by working with Teach for America teachers. Alyse’s daughter is heading up a project for a book group at Lookout Mountain Youth Detention Center. Other initiatives include a current events group and possibly a book group at a local retirement village. The work has endless potential, and Alyse feels compelled to keep moving in these directions because she understands the profound difference books can make in people’s lives. Alyse has seen people with books and she has seen people without books. She has noticed the people who have books are always better off, and it is a big reason she is compelled to save the books destined for the trash to get them into the hands of people who most appreciate having a good book to read. The growth of Literacy & Hope is impressive. Working with a $0 budget, the committed work of a small group of volunteers has secured book donations from authors. 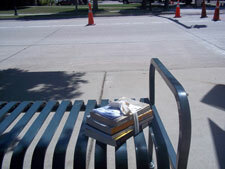 The Jefferson County Library has also been a large donor of preloved books. As soon as Alyse can secure the storage space, there is a local book reseller who is in negotiations to donate pallets of books. Alyse is also excited about the support Literacy & Hope has received from musician Michael Franti, who has encouraged them to set up a booth at his summer concert at Red Rocks. With a pay-it-forward approach, Literacy & Hope has inspired others to join in the effort. The women in the Homecoming Queens book club have helped to create community libraries for the people in the low-income housing areas where they all live. Others intent on making a difference are asking how they can help, too. Alyse believes, “No one should ever have to trade their dignity for a book.” The work she does with Literacy & Hope provides a means to that end. Literacy & Hope does take monetary donations as well as donated books available through authors and publishers. 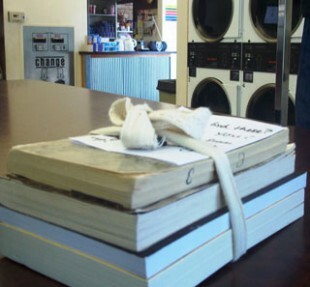 You can find out more information and make a donation at www.LiteracyandHope.com.